“Petit” means small. So, when someone thinks of “petit theft,” it’s only natural they’re thinking, “A small theft — no big deal. I’m not worried about whatever small consequences might come of a little charge like that.” The reality is different. Petit theft, sometimes called petty theft or shoplifting, is a misdemeanor, but a conviction could mean time in jail and hefty fines, but the consequences could extend beyond that. A conviction could stay on your criminal record permanently, and could keep you from getting jobs or housing. A little theft charge could mean big consequences. It should not be taken lightly. If you’ve been charged with petit theft, don’t shrug it off. Make sure you have a good defense. An experienced criminal defense attorney could make the difference between being free and being in jail, or under the weight of a big conviction for a small theft. The attorneys at Pumphrey Law are experienced criminal defense lawyers who can represent you and fight your petit theft charges. He will take your charges seriously and find every hole in the prosecution’s argument. If you’ve been charged with petit theft in Tallahassee, Leon County or anywhere in the surrounding areas, call Pumphrey Law at (850) 681-7777 today for a free consultation to go over your charges and discuss your options. The firm is proud to serve clients throughout the Florida Panhandle, including Leon County, Wakulla County, Gadsden County, Liberty County and Jefferson County. To understand petit theft, you first have to understand theft. Florida law defines theft as a person “knowingly obtains or uses, or endeavors to obtain or to use” another’s property, with the purpose to deprive that person of the right or benefit of the property, either temporarily or permanently, for his or her use, or for the use of someone else not entitled to that property. The law then divides theft into two categories, grand theft and petit theft, mostly dividing them along the line of how valuable the allegedly stolen item is. Grand theft is classified at anything valued above $300. Anything below $300 is petit theft, unless it falls under certain categories in the law. Certain items listed in the Penal Code automatically become grand theft, such as any controlled substance, a stop sign, a will or codicil, a firearm, any motor vehicle or a farm animal. Petit theft, itself, is divided into two categories. Petit theft in the first degree is when the charge is for stealing anything that is more than $100 and less than $300, and is a misdemeanor of the first degree. If the item allegedly stolen is $100 or less, it is petit theft in the second degree, a misdemeanor of the second degree. There are different kinds of penalties for being convicted of a crime — the penalties you face under the law, and the penalties you face by society when you have a theft conviction on your criminal record. If convicted of petit theft in the first degree for the first time, you could be sentenced to up to a year in jail and a $1,000 fine. For petit theft in the second degree, it’s could be up to 60 days in jail and a $500 fine. However, if you have one or more prior convictions for theft, and are convicted of petit theft in the second degree, the punishments are upgraded to up to a year in jail and a $1,000 fine. And if you are convicted on any petit theft charge and have two or more theft convictions, it becomes a third-degree felony, punishable by up to five years in prison and a $5,000 fine. Any conviction for theft carries a requirement that the court take your fingerprints for the public record with the judgment fixed to them. This document can be used against you in any future proceeding. That’s only the beginning of the problems you might face with a theft conviction on your criminal record. Even a petit theft or shoplifting charge carries the stigma of a person who can’t be trusted — someone who steals. A conviction will turn up on background searches, and it may be hard to find any kind of work where you have access to anything valuable, including cash. That could cut you out of a lot of work. It could also affect your relationships with friends and family to permanently be labeled a “thief” in public records. There’s simply too much at stake, even with a “little” petit theft conviction, to not take these charges seriously. 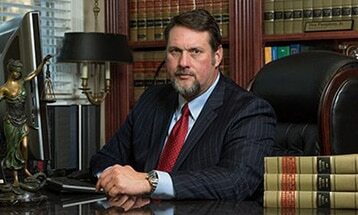 An experienced criminal defense attorney could help you fight the charges. Merchants are very concerned about the money they lose due to theft, leading to shoplifting “crackdowns.” During these crackdowns, false accusations can fly and hit people who never intended to steal anything. Innocent mistakes and harmless decisions can lead to false accusations, and you could be caught in the crosshairs. Police and prosecutors are prone to give more weight to the merchant, who are often big establishments capable of putting pressure on the right players. Prosecutors have to prove their case “beyond a reasonable doubt.” That means that, for the jury to convict, the prosecutors must convince them that there are no other reasonable scenarios other than the one they present for each element of their case. The defense doesn’t have to prove anything, unless making what is called an affirmative defense, such as an insanity defense. Lack of intent or mistakes are strong possible defenses in many cases. It’s true that this means the odds are stacked against the prosecution. However, Tallahassee-area prosecutors are able to meet this burden every day. Having someone on your side could make all the difference. A petit theft defense lawyer could find holes in the prosecution’s case and exploit those weaknesses. If you’re facing petit theft charges in Leon County, Gadsden County, Wakulla County or anywhere in the Florida Panhandle, let an experienced criminal defense attorney help you. Our team can fight to get your charges reduced or dismissed. The sooner our attorneys are able to start working on your case, the better. Call today at (850) 681-7777 to set up a free consultation with the Pumphrey Law to talk about your petit theft charge.